This week The Digit-al Dozen group strikes again with "Animal Week". Oddly, I didn't have any trouble coming up with ideas for this week and I'm looking forward to showing you! I have also picked back up with my Nail Challenge Collaborative group, and we've decided to do 4 manis each month that follow a theme. This month is "pastels". Lo and behold!! The pastel animal print is today's manicure. Love it when I can get two for one. hehe. 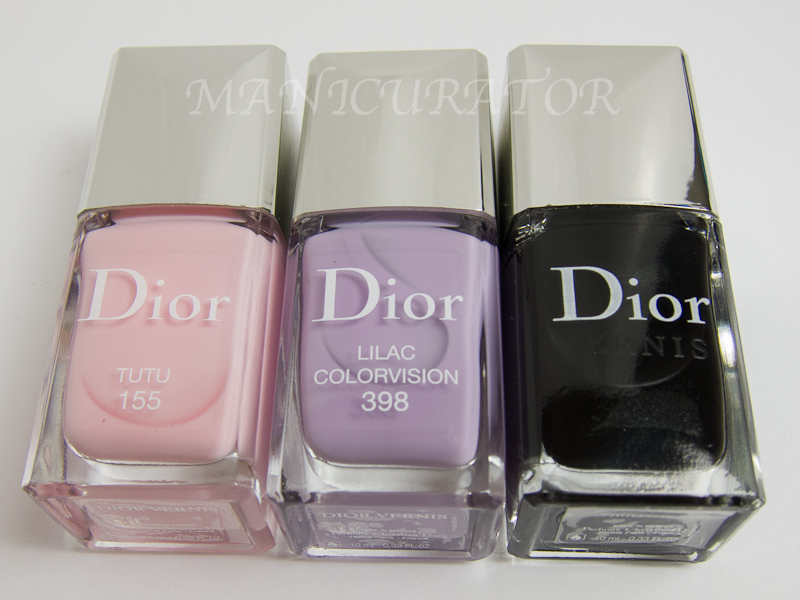 I chose the amazing Dior Lilac Colorvision as my base, which I picked up at Sephora.com. I used 2-3 coats (2 thick coats or 3 thin) and it went on flawlessly and dried to a high gloss. Then I painted a Dior Tutu stripe down the middle. I needed two coats. The above and below photos are without top coat after I painted on the black zebra stripes with a small nail art brush using Dior Untitled Black. And finally, the rest of the photos are the final version, with Seche Vite top coat. 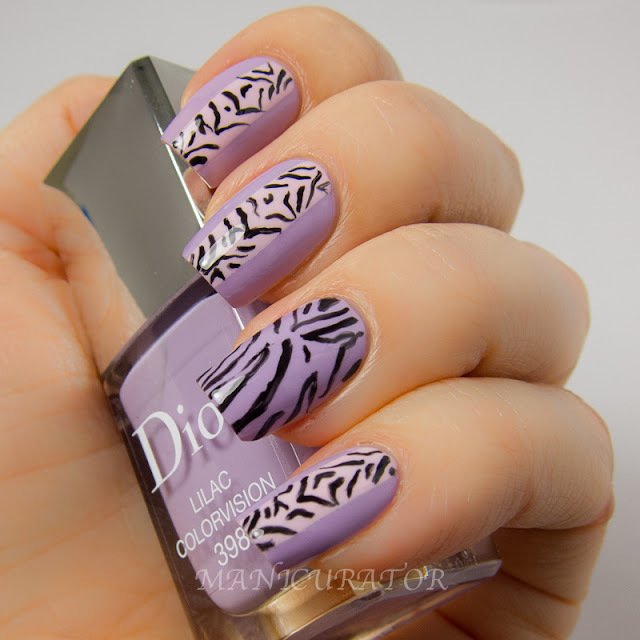 This is actually the first time the zebra print has made its way to my blog!! Needs some practice, but not bad for a first try! Definitely liking how this turned out. What do you think? *Dior Tutu provided as a PR sample. Previously reviewed here. Please take a look at all the talent in my challenge groups!! Thanks Lisa! I'm really in a pastel mood lately. This is a really cool look, I've never seen anything like it. I love the print and how you just put it on top of the stripe. I'm going to have to try that! 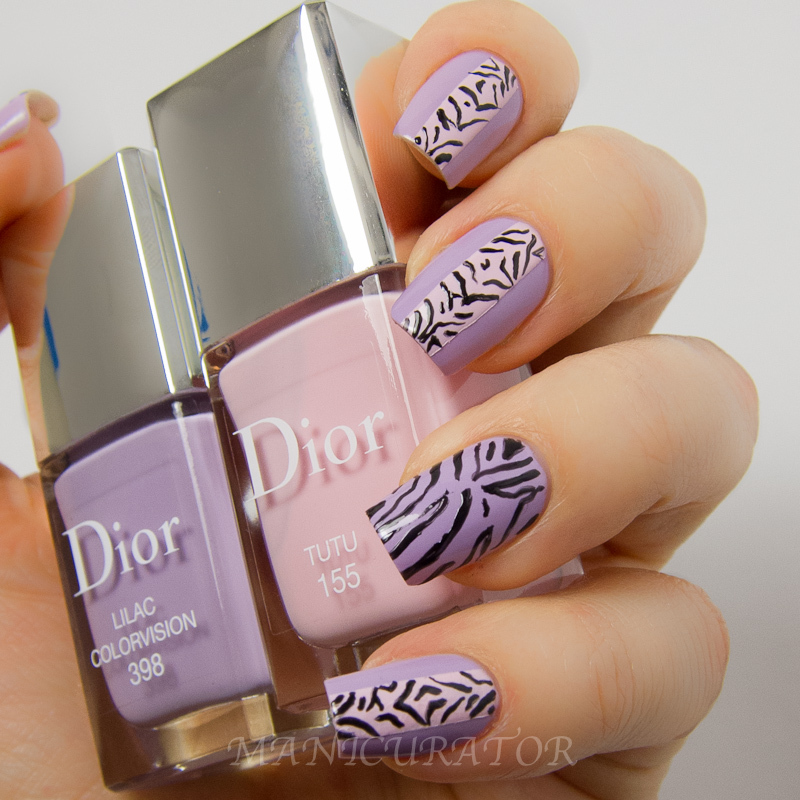 I really love the zebra on the pink stripe! I.am.in.love. Literally this is so cool and I'm already thinking of a rendition of it to do. So inspiring! 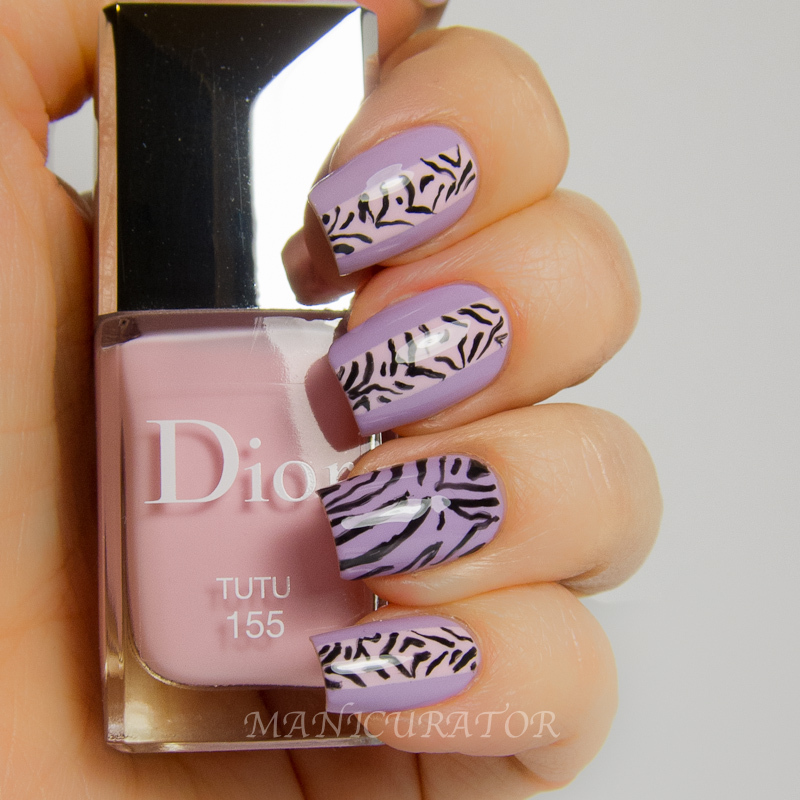 I love the colors you used and the zebra print down the center is very unique. I want to recreate this cute mani. Pinning this for sure so I can do it later.